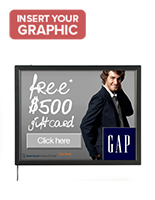 What better way is there for pointing extra attention to a product or service? 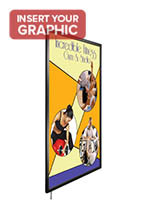 Slim light boxes are a major draw to potential customers. 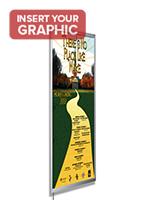 Instead of simply displaying printed posters, use illumination to elevate your marketing's effectiveness! 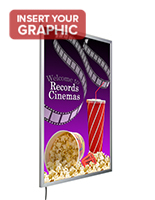 Used by theater owners for decades (who know a good thing when they see it), slim light boxes offer that boost in emphasis needed at the retail level. 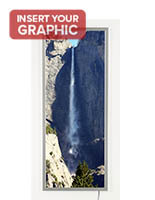 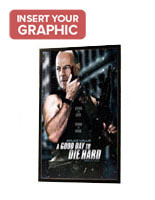 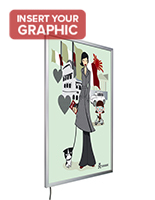 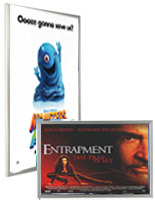 We stock these ultra thin frames in all the standard poster formats, including movie posters. 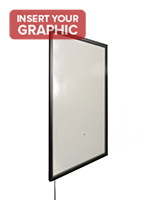 The low-heat illumination features cost-effective LED technology. 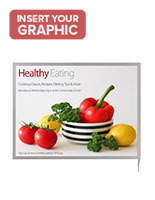 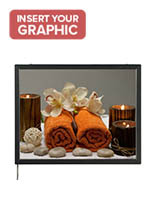 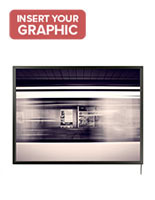 For best results, we recommend the use of special backlit film for your graphics such as Duratrans. 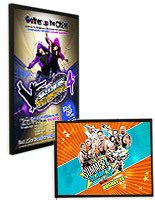 Unlike regular poster paper, this translucent polyester film is formulated to provide the richest colors and darkest blacks. 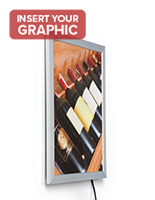 Those parameters are especially important to commercial businesses who require nothing but the best in their advertising campaigns. 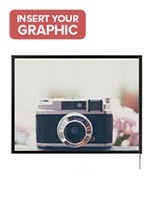 What are some of the features unique to these slim light boxes? 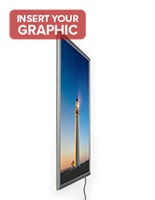 Thinness matters. 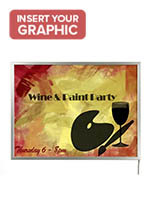 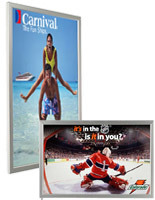 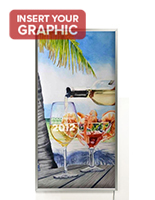 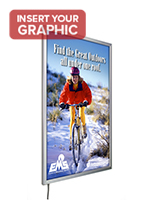 Featuring ultra thin frame profiles less than 1" thick, your marketing graphics will look weightless as they advertise new product rollouts, seasonal sales, and much more. 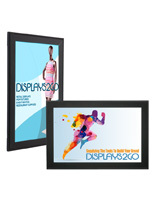 All light boxes feature snap frame designs. 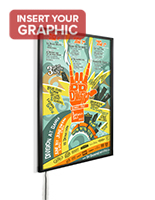 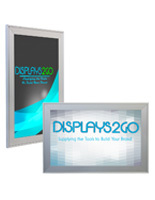 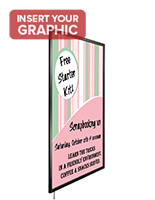 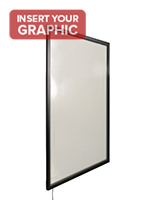 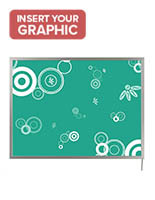 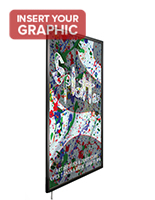 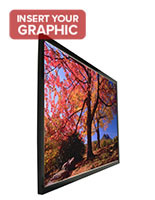 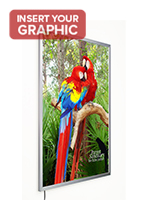 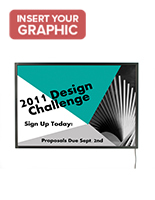 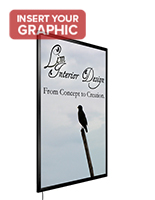 This provides front-loading capabilities without having to remove the frame in order to swap out a poster. 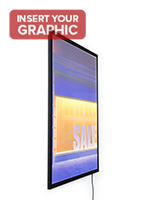 Due to their bright illumination, these backlit displays need to point all attention to the graphic at hand. 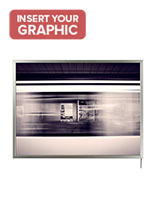 This is why the frames come in monochromatic colors like silver or black. 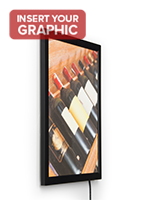 You have the freedom to mount light boxes to the wall or hang them from the ceiling. 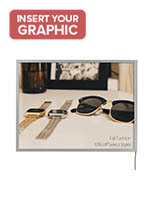 We include wall mounting fasteners as well as nylon line hanging kits, depending on the model. 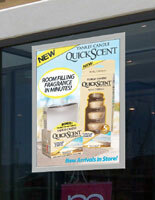 One of the more popular ceiling-hung application techniques is to display them right behind storefront windows. 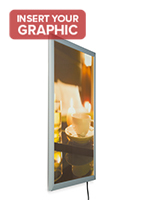 Each model can be displayed in vertical or portrait format. 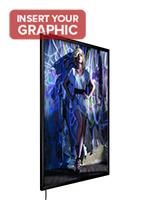 By far the biggest feature is the LED illumination. Located behind the snap-open sides, the light emitting diode strips emit a beam of bright light that extends across the surface of the frame. 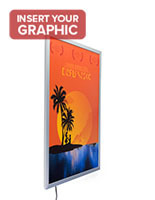 Specially engineered engraving patterns beneath the poster area help to distribute the light evenly without any hot spots. 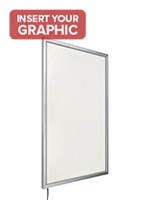 Famous for their low-cost technology, LEDs offer low-heat performance with minimal effect to your electric bill. 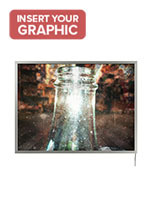 When it comes to business marketing, the best tools are the transparent ones. 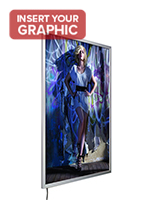 Target shoppers with professionally printed, illuminated advertising graphics without distraction. 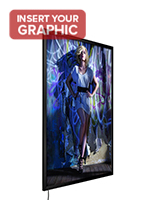 Excellent choices for fast food restaurants, retail stores, and theaters, these LED poster displays transform the ordinary into the extraordinary!